This Erma's Closet V-Neck Black and Pink Pucci Print Dress is perfect for dress or casual. .. 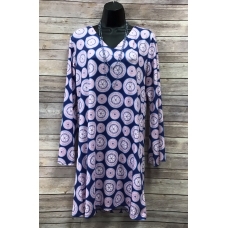 This Erma's Closet V-neck Navy Dress with Pink Circles is great for Spring and Summer! 80.. 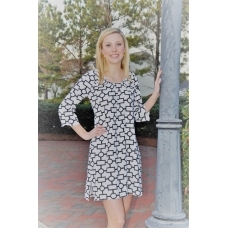 This Erma's Closet Watermelon Print Carwash Dress is cute and sassy for Spring and Summer! The..
What a great look for Summer. This Erma's Closet White and Black Geo Print Babydoll Dres..